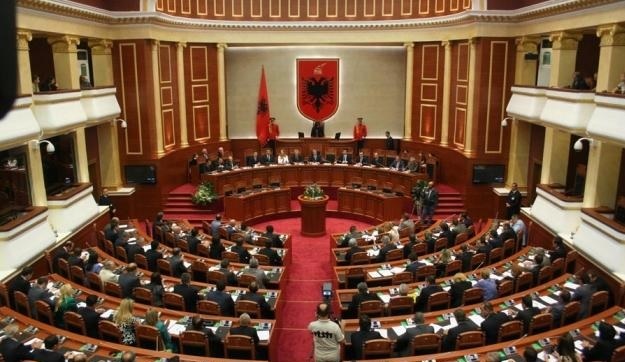 Albania's Parliament resulting from June 25 elections is gathered today at the first session of the IX parliamentary legislature. The first session of the Assembly is gathered at 10:00 and is chaired by Socialist MP, Besnik Bare. After the execution of the national anthem, Bare delivered a greeting speech wishing the Parliament to return to the real value of the policy communication. "Unfortunately, the conflicting policy of the political class is also reflected in the people," said Bare, while praising the powerful messages that have been given in this hall by international personalities during past legislatures. Bare also read the nominee list of MPs that came out by the June 25th elections. During this session, the Mandate Verification Commission was set up and a secretariat consisting of three young MPs, Anduel Xhindi, Izmira Ulqinaku and Kejdi Mehmetaj. The Assembly will meet in a second afternoon session (18:00), where MPs will swear and elect the new Speaker of Parliament, former Socialist Parliamentary Group leader Gramoz Ruci. Ruci has the support of all SP deputies, while PD and SMI have warned against the vote. The decision was taken by the respective parliamentary groups a day earlier. The June 25th political elections in Albania brought out 140 deputies who were elected with the regional proportional system. In the June 25th elections the SP received 74 mandates, PD received 43 mandates, SMI received 19 mandates, PDIU received 3 mandates and PSD received 1 mandate.